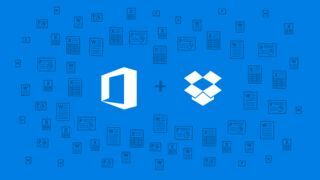 Dropbox has announced the expansion of its integration with Microsoft Office, soon allowing users to create Office documents within the Dropbox iOS app. This is the next step in a partnership that began last year between the two companies and will reportedly release later this month. While not much information has been officially disclosed on how the integration will work, it's sensible to assume that files saved to your Dropbox can be accessed via Office Online or other various desktop apps. This new integration will undoubtedly help the partnership begin to compete with Google Drive and Docs. Dropbox also recently announced that it's adding a comment feature that allows users to drop notes on hosted files, also soon to be available to iOS and web users. While this tool will help move the company forward in the realm of productivity, the most notable addition to Dropbox is the expanding integration with Microsoft Office. It'll be very interesting to see how it changes a landscape that Google unequivocally rules.